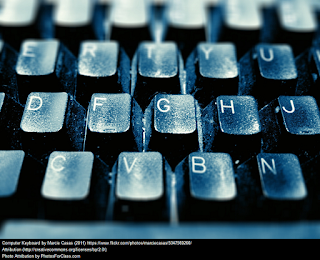 Blog vs. Website-- Which will you use in your classroom? In the last week three different people have asked me why I prefer to use a blog with my class rather than a website, so let me explain. You must know that my preference for blogs does not stem from ignorance about websites. In the last fifteen years I have created, built, maintained, managed and removed numerous websites related to my teaching experiences; from my earliest webpage created as a student teacher, through those I created while teaching middle school, to the one I made as part of my masters program, one I created in a workshop about Google Sites and even the one I still maintain as part of my school's larger site. I know a lot about websites. They are great for a lot of things, but not for my classroom. A website is rather static. Even in a world of web 2.0 a website (at least those easily created by tech novices) just sits there. You can put content up and take it down. You can add pages and take them down. A website is great for things you want to leave up for a while. It is not well suited to daily changes. A blog is. When they get there they will find the instructions I just gave them repeated in the text, the links to the resources I need them to have, and anything else I think they might need to know that day. They have access to the whole internet and we regularly use Google Docs and other sites for productivity, but the blog is the hub. Why can't I do that with a website, you may ask. Well you can, but if you plan to change the lesson daily or at least several times a week your page is going to get quite long. It also won't come with a nice interface that will allow you to easily attach key words to each post, or automatically format the date and title of each post for you. Your web site posts also won't have a way for readers to leave you comments on each post. The real magic of the blog is the way it automatically archives my posts. Everything I've done with my students for the last two years is archived and searchable on my American Lit blog. Want to know how I taught Walden last month? Search Walden and scroll down. You'll also find how I taught it last year and the year before that. Want to know how I've taught reading standard 2.5 about assumptions? Search that. You'll see that one year I taught it with political speeches and another year I used first person narratives. Very handy for me as I plan lessons and invaluable to my student teachers. What about the students? Obviously, either a blog or a website can help students catch up on the work they missed if they were absent, but what about preparing for a test? 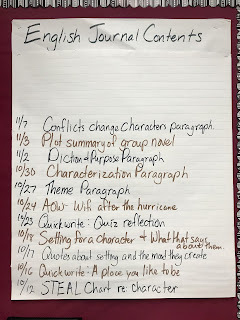 Last semester my students made their own study guides for finals by working in groups to identify the key material we covered in each month with the help of the blog archive. I published their guides in Google Docs and linked to them in a blog post. Then I used the student created study guides to tweak my final exam. One of the teachers who asked me about class blogs admitted recently that he spent over five hours on a Sunday making his students a study guide. Do you think they used it much? Even if my students never went back to their study guide they studied as they created it. My favorite part about the blog is the gadgets. Most blog templates have a column for gadgets. These are things you can add like linked lists, polls, text boxes, and a dozen other things. They stay there until you take them down. You can have a linked list with links to your syllabus, assignment sheets, rubrics, and anywhere else you want your students to be able to find easily. Polls let you ask your students questions anonymously; things like: How's your project going? or Did you like the last piece we read? Text boxes give you a way to explain important policies etc. There are even gadgets that allow you to embed other functions from outside sites, like a cluster map of your blog visitors or a slideshow of images. Blogs are made to deal with information that changes frequently. They are user friendly, easy to update, searchable, flexible and fun. They are also easy to create for teachers (and students). 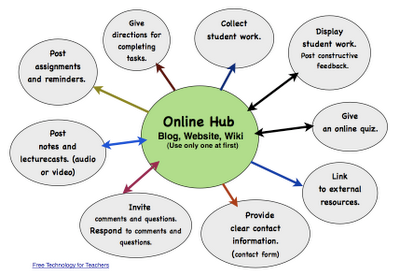 If you don't have a classroom blog yet you can start one in less than five minutes. There is a button at the top of this page on the right side that says "Create Blog". Click that and get started. I have thought about this a good deal over the summer. I feared I was just being lazy because I prefer the blog idea over the website idea. When I used Google Sites during my undergrad, I spent hours trying to figure things out. On the other hand, I started a class blog in a matter of minutes. Thanks for the insight! Thanks for your comment on this post. If you have an urgent question you may want to reach out to me on Twitter @JenRoberts1. Comments on this blog are moderated for posts more than five days old to cut down on spam, so if you are commenting on an older post it may not appear right away. My students each share a Google Doc with me in September and they use that doc all year long. We call it their English Journal and it holds all of the small daily work we do. This is one of the secrets of my 1:1 classroom and it is such an ordinary part of our workflow that I have rarely thought to write about it. Let’s fix that. The challenge for any educator is knowing what kinds of work and thinking students are actually doing in our classes. The traditional way of gaining this insight was to collect papers: homework, notes, reflections, quick writes, exit slips, graphic organizers, etc. It all happened on paper and we collected it to look at--or at least to make students think we looked at it. Considering National Boards? I recommend the process, but you should know what you are getting into. Start early and get organized. In the summer of 2016 I began the process of National Board Certification. I stumbled upon a program from our county office that supports teachers through the process over two years. I just finished Component 1 and 2. For more on Component 2 see my previous post. While Component 2 is a year long process of collecting student work and writing about it, Component 1 is a test I took last weekend. This test counts for 40% of my overall NBCT score, and that's more than any other component. Of course it is a three hour test, and yes, every time I say that I hear the theme song to Gilligan's Island in my head. Actually, I can't tell you anything about the test. I agreed to a confidentiality statement when I sat down to take it. I can tell you about my experience, and how I prepared, and what the day was like. ..Jen is available as a speaker..